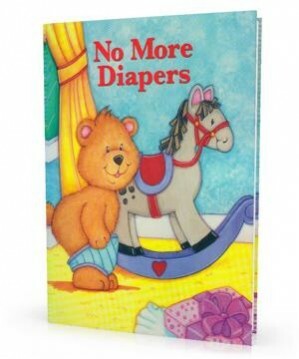 Diapers will soon be a thing of the past! If your child is starting to get curious about the potty, or you think the time is right for training, this book helps encourage him/her to take the next steps. Our story shows a cute toddler bear learning how to use the potty and wear real underpants. It also expresses what your child may already be feeling, such as noticing that siblings and friends wear underwear...what a convenience! Bragging rights are high after getting a new pair of "big boy or big girl underwear." Help your child understand the subject in a very caring way with our personalized book.